Srinagar : At least four persons were killed in a series of cloudbursts that struck on both Baltal and Pahalgam routes of the Amarnath Yatra, forcing temporary suspension of the pilgrimage from one side. "We have recovered three bodies from Kullan area on Srinagar-Leh road where a cloudburst took place last evening," a police officer said on Friday. The deceased have been identified as 15-year-old Iqra Majid and 10-year-old Momin Ahmad Baba, both residents of village Kullan in Ganderbal district. One body, recovered from River Sindh, has not been identified so far, the officer said. Two persons Rukhsana (32) and her four-year-old son Aquib Baba are still missing. He said work was on to remove the debris that has blocked the road, leading to Baltal base camp. "There is a temporary suspension of the yatra from Baltal road. The removal of debris will take few hours more," he said. Meanwhile, a porter died when he was struck by lightning in Panjtarni area along the traditional Pahalgam route.The deceased was identified as Manzoor Ahmad Sheikh. 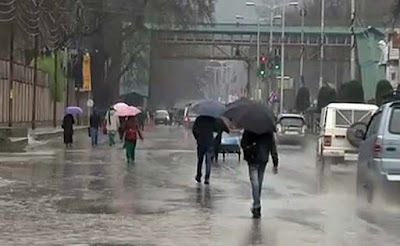 Cloudbursts were reported from several areas of Kashmir during heavy rainfall witnessed in the Valley since last evening. 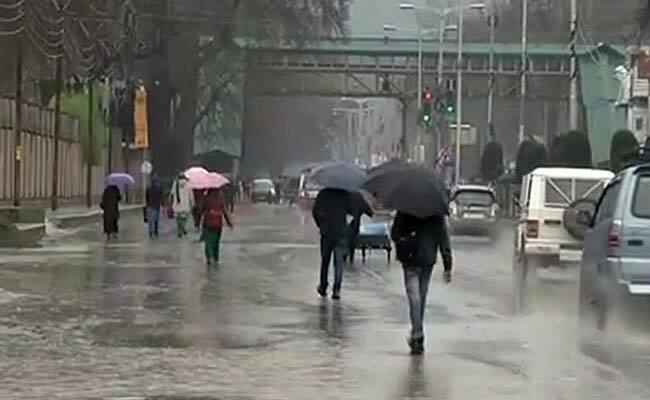 The Weatherman has forecast more rains over the next 24 hours across Kashmir.